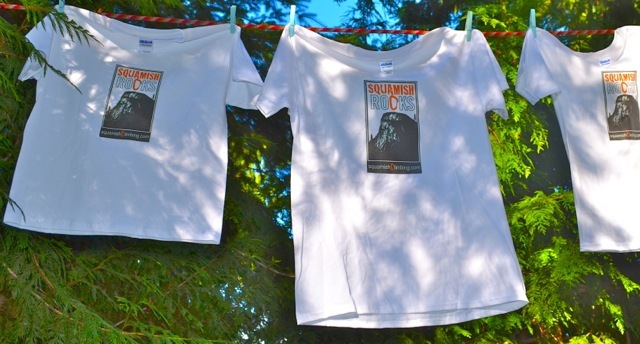 I have made and paid for a limited run of Squamishclimbing.com T-shirts. Let me know if you want one and I'll set it aside for you when I'm at the Squamish Mountain Festival. I would love to get one but I am going to be out of town next week, thereby completely missing the Squamish Mountain Festival. Is there any other way I can get a shirt (men's small, please)? Sure Khoi, I'll set one aside for you and we can arrange delivery/hand-over later. hand delivered by Dave Jones!?! Hand delivered if you come by my table at the Squamish Mountain Festival this week. I hope to see a lot you there. I'm in Mexico working until the end of the month, please please please save me a medium and I'll grab it when I'm back. Please! I'm planning on being in Squamish on Wednesday and Thursday. I'd definitely be into grabbing a Men's S/M, will be at the fest Sunday afternoon. Thanks! Are these even still available? Am I the only one thats noticed this thread is 3 years old? Can you provide V –neck T-Shirts? The V –neck T-Shirts is something that relatively every man has in his closet. It gives both easygoing and formal look. Fit body men who need to flaunt their abs and biceps can wear body-embracing V neck t-shirt and be a wellness or style symbol.